1  CAVENDISH Mark (TEAM HTC - COLUMBIA)              2h 42' 21"
2  SCHLECK Andy (SAXO BANK)                           + 00' 39"
3  MENCHOV Denis (RABOBANK)                           + 02' 01"
4  SANCHEZ Samuel (EUSKALTEL - EUSKADI)               + 03' 40"
5  VAN DEN BROECK Jurgen (OMEGA PHARMA - LOTTO)       + 06' 54"
6  GESINK Robert (RABOBANK)                           + 09' 31"
7  HESJEDAL Ryder (GARMIN - TRANSITIONS)              + 10' 15"
8  RODRIGUEZ OLIVER Joaquin (KATUSHA TEAM)            + 11' 37"
9  KREUZIGER Roman (LIQUIGAS-DOIMO)                   + 11' 54"
10 HORNER Christopher (RADIOSHACK)                    + 12' 02"
1  CANCELLARA Fabian (TEAM SAXO BANK)                1h 00' 56"
2  MARTIN Tony (TEAM HTC - COLUMBIA)                 1h 01' 13" + 00' 17"
3  GRABSCH Bert (TEAM HTC - COLUMBIA)                1h 02' 44" + 01' 48"
4  KONOVALOVAS Ignatas (CERVELO TEST TEAM)           1h 03' 30" + 02' 34"
5  ZABRISKIE David (GARMIN - TRANSITIONS)            1h 03' 56" + 03' 00"
6  MOERENHOUT Koos (RABOBANK)                        1h 03' 59" + 03' 03"
7  KIRYIENKA Vasil (CAISSE D’EPARGNE)                1h 04' 06" + 03' 10"
8  TJALLINGII Maarten (RABOBANK)                     1h 04' 17" + 03' 21"
9  WIGGINS Bradley (SKY PRO CYCLING)                 1h 04' 29" + 03' 33"
10 THOMAS Geraint (SKY PRO CYCLING)                  1h 04' 34" + 03' 38"
1  CONTADOR Alberto (ASTANA)                        89h 08' 20"
2  SCHLECK Andy (SAXO BANK)                           + 00' 08"
3  SANCHEZ Samuel (EUSKALTEL - EUSKADI)               + 03' 32"
4  MENCHOV Denis (RABOBANK)                           + 03' 53"
5  VAN DEN BROECK Jurgen (OMEGA PHARMA - LOTTO)       + 05' 27"
6  GESINK Robert (RABOBANK)                           + 06' 41"
7  RODRIGUEZ OLIVER Joaquin (KATUSHA TEAM)            + 07' 03"
8  HESJEDAL Ryder (GARMIN - TRANSITIONS)              + 09' 18"
9  KREUZIGER Roman (LIQUIGAS-DOIMO)                   + 10' 12"
10 HORNER Christopher (TEAM RADIOSHACK)               + 10' 37"
1  SCHLECK Andy (TEAM SAXO BANK)                     5h 03' 29"
3  RODRIGUEZ OLIVER Joaquin (KATUSHA TEAM)            + 01' 18"
4  HESJEDAL Ryder (GARMIN - TRANSITIONS)              + 01' 27"
5  SANCHEZ Samuel (EUSKALTEL - EUSKADI)               + 01' 32"
6  MENCHOV Denis (RABOBANK)                           + 01' 40"
8  HORNER Christopher (TEAM RADIOSHACK)               + 01' 45"
9  VAN DEN BROECK Jurgen (OMEGA PHARMA - LOTTO)       + 01' 48"
10 KREUZIGER Roman (LIQUIGAS-DOIMO)                   + 02' 14"
1  CONTADOR Alberto (ASTANA)                        83h 32' 39"
1  FEDRIGO Pierrick (BBOX BOUYGUES TELECOM)          5h 31' 43"
9  BARREDO Carlos (QUICK STEP)                        + 00' 28"
10 HUSHOVD Thor (CERVELO TEST TEAM)                   + 06' 45"
2  SCHLECK Andy (TEAM SAXO BANK)                      + 00' 08"
3  SANCHEZ Samuel (EUSKALTEL - EUSKADI)               + 02' 00"
4  MENCHOV Denis (RABOBANK)                           + 02' 13"
5  VAN DEN BROECK Jurgen (OMEGA PHARMA - LOTTO)       + 03' 39"
6  GESINK Robert (RABOBANK)                           + 05' 01"
7  LEIPHEIMER Levi (RADIOSHACK)                       + 05' 25"
8  RODRIGUEZ OLIVER Joaquin (KATUSHA TEAM)            + 05' 45"
9  VINOKOUROV Alexandre (ASTANA)                      + 07' 12"
10 HESJEDAL Ryder (GARMIN - TRANSITIONS)              + 07' 51"
1  VOECKLER Thomas (BBOX BOUYGUES TELECOM)           4h 44' 51"
2  BALLAN Alessandro (BMC RACING TEAM)                + 01' 20"
4  MONDORY Lloyd (AG2R LA MONDIALE)                   + 02' 50"
12 SCHLECK Andy (TEAM SAXO BANK)                      + 03' 29"
1  RIBLON Christophe (AG2R LA MONDIALE)              4h 52' 42"
2  MENCHOV Denis (RABOBANK)                           + 00' 54"
4  SCHLECK Andy (TEAM SAXO BANK)                      + 01' 08"
9  CUNEGO Damiano (LAMPRE - FARNESE)                  + 01' 49"
11 LEIPHEIMER Levi (TEAM RADIOSHACK)                  + 01' 53"
12 HESJEDAL Ryder (GARMIN - TRANSITIONS)              + 02' 00"
14 SANCHEZ Luis-Leon (CAISSE D’EPARGNE)               + 02' 02"
1  SCHLECK Andy (TEAM SAXO BANK)                    68h 02' 30"
2  CONTADOR Alberto (ASTANA)                          + 00' 31"
3  SANCHEZ Samuel (EUSKALTEL - EUSKADI)               + 02' 31"
4  MENCHOV Denis (RABOBANK)                           + 02' 44"
5  VAN DEN BROECK Jurgen (OMEGA PHARMA - LOTTO)       + 03' 31"
6  GESINK Robert (RABOBANK)                           + 04' 27"
7  LEIPHEIMER Levi (TEAM RADIOSHACK)                  + 04' 51"
8  RODRIGUEZ OLIVER Joaquin (KATUSHA TEAM)            + 04' 58"
9  SANCHEZ Luis-Leon (CAISSE D’EPARGNE)               + 05' 56"
10 BASSO Ivan (LIQUIGAS-DOIMO)                        + 06' 52"
1  VINOKOUROV Alexandre  (ASTANA)                    4h 26' 26"
2  CAVENDISH Mark (HTC - COLUMBIA)                    + 00' 13"
2  CONTADOR Alberto (ASTANA)                           + 00'31"
3  SANCHEZ Samuel (EUSKALTEL - EUSKADI)                + 02'45"
4  MENCHOV Denis (RABOBANK)                            + 02'58"
5  VAN DEN BROECK Jurgen (OMEGA PHARMA - LOTTO)        + 03'31"
6  LEIPHEIMER Levi (RADIOSHACK)                        + 04'06"
7  GESINK Robert (RABOBANK)                            + 04'27"
8  RODRIGUEZ OLIVER Joaquin (KATUSHA)                  + 04'58"
9  SANCHEZ Luis-Leon (CAISSE D’EPARGNE)                + 05'02"
1  RODRIGUEZ OLIVER Joaquin (KATUSHA)                  4h58'26"
3  VINOKOUROV Alexandre  (ASTANA)                      + 00'04"
4  VAN DEN BROECK Jurgen  (OMEGA PHARMA - LOTTO)       + 00'10"
9  GESINK Robert  (RABOBANK)                           + 00'15"
10 KREUZIGER Roman  (LIQUIGAS-DOIMO)                   + 00'15"
11 LEIPHEIMER Levi (RADIOSHACK)                        + 00'17"
1  SCHLECK Andy (SAXO BANK)                          58h 42'01"
10 KREUZIGER Roman (LIQUIGAS-DOIMO)                    + 05'16"
1  CAVENDISH Mark (TEAM HTC - COLUMBIA)                 4h42'29"
2  CONTADOR Alberto (ASTANA)                            + 00'41"
3  SANCHEZ Samuel (EUSKALTEL - EUSKADI)                 + 02'45"
July 1 update: The teams have been presented and their Tour de France rosters with bib numbers are now official barring any last minute sickness or injury. October 14 update: It’s a Tour for the climbers this year as the Tour de France celebrates the hundred year history of the race in the Pyrénées. The 2010 edition of the French grand tour finishes with four straight days in the iconic mountains that demarcate the border of France and Spain, and the riders will make two ascents of the Col du Tourmalet. The final mountain stage finishes on high at the summit of the Tourmalet. Only one long time trial of 51 kilometers interrupts the climbers’ rhythm and it comes the day before the traditional finishing stage in Paris. In all, the course includes twenty-three categorized climbs and three mountain-top finishes, the most climbing in a Tour de France since 2005. The Tour begins in the Netherlands, crosses into Belgium, then follows a clockwise trace around France. Rotterdam hosts the opening stage, a prologue of 8 kilometers. As the race passes through Belgium, it celebrates the Spring classics with a tribute stage to Liège-Bastogne-Liège, which includes the Côte de Rosier, and stage between Wanze and Arenberg Porte du Hainut which includes 13 kilometers of pavé and finishes outside the trouée d’Arenberg of Paris-Roubaix fame. 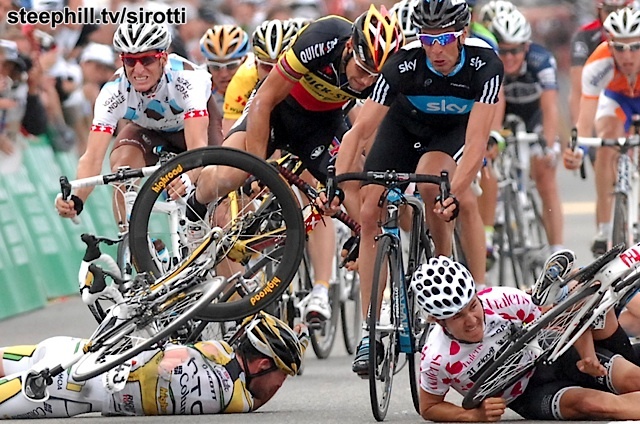 General classification riders, beware! In 2004, Iban Mayo said adieu to his Yellow Jersey hopes after a crash on a short sector of cobbles outside Erre. Prior to 2004, the pavé had not appeared in the Tour de France in more than 20 years. Crossing into France, the Tour travels south over the course of three flat stages. The first stage entirely in France runs between Cambrai and Reims along the border with Belgium where crosswinds and wet weather could make this stage more difficult than the profile indicates. Two more stages for the sprinters follow, between Epernay and Montargis and between Montargis and Guegnon. The Tour is now halfway down the hexagon near the border with Switzerland and ready for the first round of mountain stages. The Tour makes a brief foray into the Jura mountains which run along the French border with Switzerland. The Jura host a stage between Tournus and the ski resort village of Station des Rousses and provide the first mountain-top finish of the 2010 Tour. The climb to the Station des Rousses runs 14 kilometers and finishes at a relatively low 1140 meters in elevation. Though the Station des Rousses hosts the Tour for the first time, the Côte des Rousses commonly serves as a prelude to the col de Faucille, which has appeared in the Tour on more than 40 occasions since 1911. 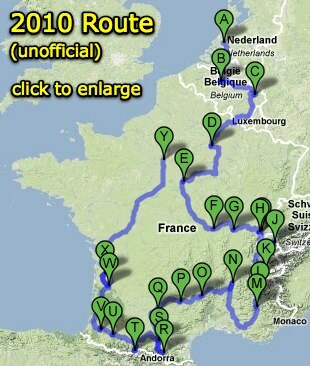 Then, it’s into the Alps for three stages. The first Alpine stage runs between Station des Rousses and Morzine-Avoriaz. It ascends the Col de la Ramaz and finishes on high at the ski station at Avoriaz. During the 1970s, uphill time trials to Avoriaz were all the rage, and Lucien Van Impe twice celebrated victory at the ski station. Lucho Herrero won the first road stage to finish there in 1985. With only two major climbs, this first Alpine stage serves as a prelude to the more difficult day that follows it. Four categorized climbs enliven the stage between Morzine-Avoriaz and Saint-Jean-de-Maurienne: Col de la Columbière, Col des Aravis, Col des Saisies, and Col de la Madeleine. The Col de la Madeleine climbs a lengthy 25 kilometers at an average gradient of 6.5%. This stage is not a mountain-top finish, instead descending to the town of Saint-Jean-de-Maurienne, which hosts a stage finish for the first time in 2010. After the succession of difficulties in this stage, only a small group should survive to contest the victory in Saint-Jean-de-Maurienne. The final stage in the Alps runs over bumpy terrain between Chambèry and Gap, and includes two categorized climbs, the Côte de Laffrey and the Col du Noyer. It’s a descending finish to Gap over small and sinuous roads. Though the climbing is less severe, this stage offers an invitation to risk. Gap has hosted stage finishes on 19 occasions its winners including Gémiani, Nencini, Bernard, and Vinokourov. Exiting the Alps, the Tour begins its westward course toward the finale in the Pyrénées. Three stages serve as the transition between France’s two major mountain ranges. This Tour avoids the Meditérranean coast, which figured so prominently in the opening week of the 2009 edition, and doglegs northward passing through Bourg-lès-Valance, Bourg-de-Péage, and Mende. A relatively flat stage between Sisteron and Bourg-lès-Valence will please the sprinters, while the bumpy course between Bourg-de-Péage and Mende, which includes the Suc de Montivernoux climb, should bring a breakaway winner. The final transition stage runs south over flat roads from Rodez to Revel, and comes to rest in the shadow of the Pyrénées. The Tour comes now to its finale with four stages in the Pyrénées. The Pyrénéen adventure begins innocently enough with a stage running between Revel and Ax-3 Domaines. This first stage includes two main cols, the Porte de Pailhères and the finishing climb to Ax-3 Domaines. Though the Tour celebrates the 100 year history of the Pyrénées in the race, these first two climbs only joined the la Grand Boucle since the turn of the 21st century. The finish arrives at the Plateau de Bonascre, which first appeared in the Tour de France in 2003. 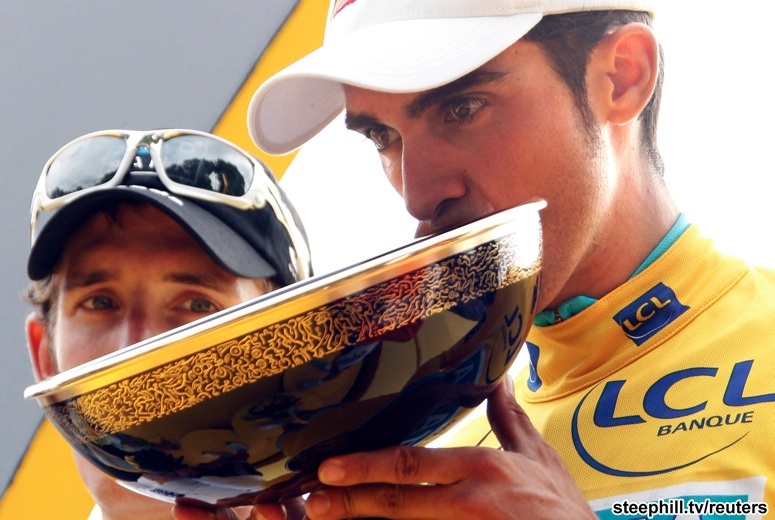 Carlos Sastre celebrated his first Tour stage win that day. The second Pyrénéen stage mixes the old and the new with a course running between the new stage city of Pamiers and Bagnères-de-Luchon, which has hosted the Tour on 50 occasions. Two of the Originals from the 1910 Tour appear in the this stage: Col du Portet d’Aspet and Col des Ares. The Porte de Balès, first added to the Tour in 2007, rises to 1755 meters over 19.2 kilometers and provides the final climb of the day before the course drops precipitously to the finish in Bagnères-de-Luchon. Picking up where it left off, the Tour departs Bagnères-de-Luchon for a four-climb romp to Pau. It’s another descending finish, and the final summit lies nearly 60 kilometers from Pau. That’s not to say that there is anything easy about this stage which connects the Col de Peyresourde, Col d’Aspin, Col de Tourmalet, and Col d’Aubisque, by way of the Col du Soulor. The riders climb the Tourmalet from Sainte-Marie-de-Campan by way of La Mongie, a 17.1 kilometer ascent with an average gradient of 7.4%. The first rider to reach the summit of the Tourmalet receives a special prime, the Souvenir Jacques Goddet. This stage marks the first of two visits by the 2010 Tour to the iconic climb, whose unforgiving gradients forced the riders of the Tour’s 1910 edition to carry their derailleur-less bikes on their backs as they trudged the unpaved road on foot. A rest day in Pau follows this stage. 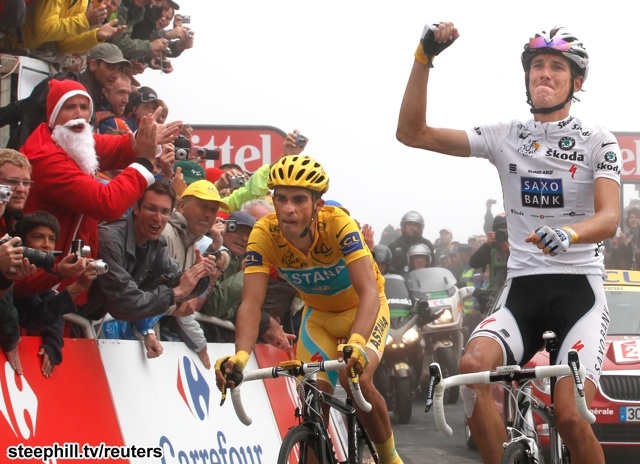 The climbing finale of the 2010 Tour de France finishes on the Col du Tourmalet. The stage begins in Pau and back-tracks. The Col de Marie-Blanque and the Col du Soulor provide the hors d’oeuvres for the final climb of this year’s Tour. The Col de Marie-Blanque climbs 9.5 kilometers at 7.5%, while the Col du Soulor, by way of Ferrières, climbs 22 kilometers at 4.9%. But this is all just prelude for the grand finale. This final mountain stage climbs the Col du Tourmalet by way of Luz-St. Sauveur and finishes at 2115 meters, the highest paved pass in the French Pyrenees. 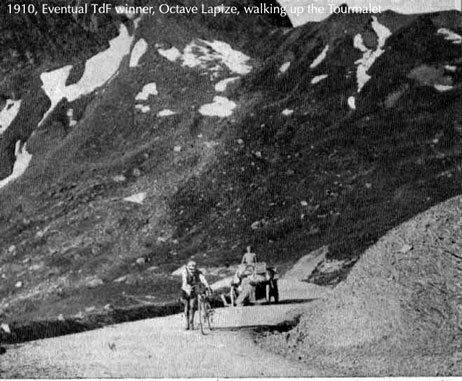 Though the Tour has passed over the Col du Tourmalet on 73 occasions, the climb has served as a stage finish only once previously in the history of the Tour. Jean-Pierre Danguillaume won the stage in 1974. At only 174 kilometers, this stage will all come down to the final climb. 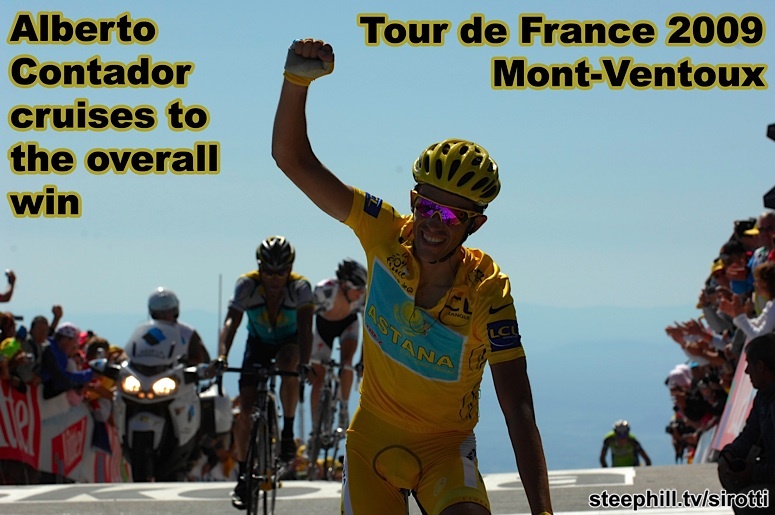 No doubt the race organizers hope that the battle for the Yellow Jersey will be decided high on the Tourmalet. Two stages, including the Tour’s only long time trial, follow the finish on the Tourmalet before the Tour reaches its traditional finish in Paris. The Tour turns northward and passes into the wine-growing regions of Aquitaine and the Gironde. A flat stage running between Sailes-de-Béarn and Bordeaux offers the sprinters a chance to stretch their legs before their big appointment on the Champs Elysées. Bordeux has hosted the Tour on 79 occasions. Only Paris has welcomed the Tour more often. 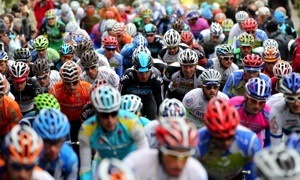 The following day comes the only long time trial of this year’s Tour de France. The stage runs 51 kilometers between Bourdeaux and Pauillac. Pauillaac hosts the Tour for the first time this year. Wine provides the theme for this long time trial, and Pauillac is one of the most prestigious appellations in the Médoc. 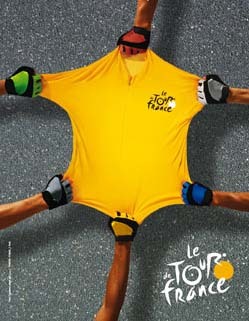 This time trial offers the final chance for the Yellow Jersey contenders to win the magic shirt. Only the final stage in Paris is left, and the caravan rides France’s high-speed rail system to the northern city. The Tour follows tradition, and the final stage finishes with a circuit on the Champs Elysées, a tantalizing prize for the sprinters. With this year’s mountainous course, the final sprint victory will not come easily. October 13 update: The presentation starts Wednesday at 11:30 AM CEST (5:30 AM ET) and it will be broadcast live on Cycling.tv and Versus at 11:30 CEST (5:30 AM ET). Eurosport (delayed?) coverage starts at 12:00 CEST with summaries and interviews at 17:30 CEST. October 6th update: Thanks to the hard work of individuals like Paddy Sweeney of Velo Peloton Vacances cyclisme and Thomas Vergouwen we now have a complete, but unofficial outline of all the 2010 stages. See the interactive map (left) and race summary table (right). Paddy is calling for the July 22nd, stage 18: Pau - Col du Tourmalet, to be the Etape du Tour stage. October 6th update: New update from Paddy Sweeney of Velo Peloton Vacances cyclisme. 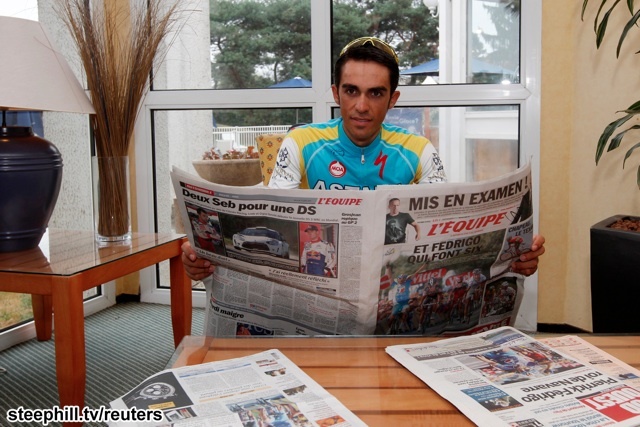 "Given newspaper reports in the last week I have revised my prediction to this"
This will also be the Etape de Tour. September 22 update: New update from Paddy Sweeney of Velo Peloton Vacances cyclisme. "Hi Steve. I had heard a rumour 3 times in the last week, it seemed a bit far fetched to be honest but in the last few days I have heard it from a source at the top of pro cycling. 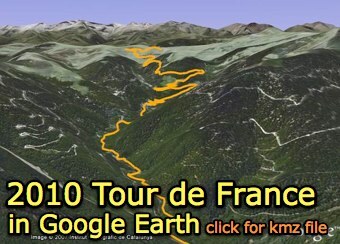 But it is this, the tour will climb Col de Tourmalet from both sides. The east on the stage from Luchon to Col d’Aubisque but also a ITT from Luz to the summit. Sounds mad I know but It is a very good source." 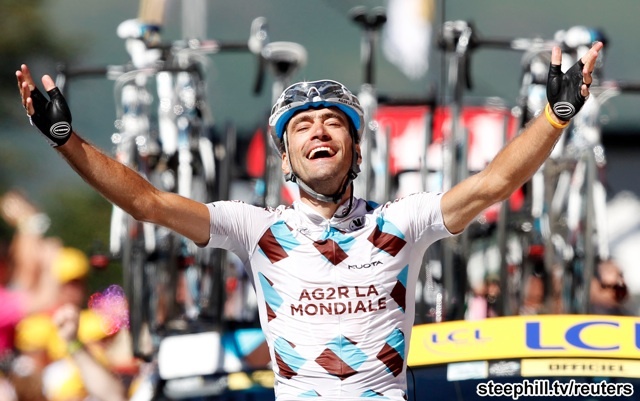 Four Mountaintop finish in the Pyrenees for 2010? September 15 update: Paddy Sweeney of Velo Peloton Vacances cyclisme has in sent some new 2010 Tour de France route scoop: "Stage finish on Col d’Aubisque on 21st July after crossing Peyresourde, Aspin, Tourmalet and Soulor. Tour crossed same mountains on 21st July 1910. The week will look something like this." 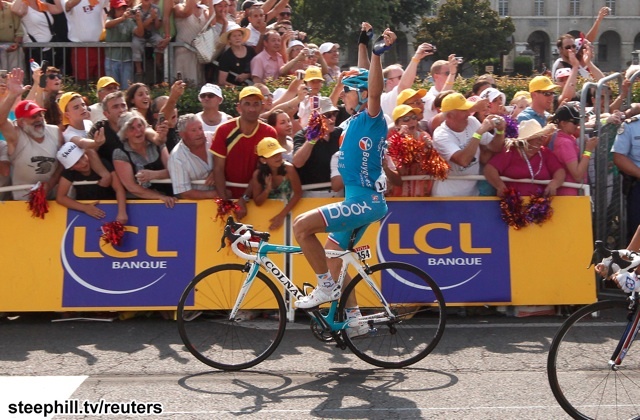 January 8 update: ITV Sport announced yesterday a new deal brokered with Tour de France organisers ASO, granting ITV the rights to broadcast live coverage of the race between 2010 and 2013. December 11 update: As officially unveiled today, the 2010 Tour de France will start with a 9k prologue on July 3rd 2010 through the streets on the south side of Rotterdam. Incorporating the Erasmus Bridge (seen above), the course (see map right) will be flat and likely "wind swept". The next day, stage 1 will head south, crossing the Netherlands-Belgium border 20k from Antwerp. The stage one finishing city is not known. That's all we'll know officially until next October but feel free to chime in with some inside scoop if you have it. — Steve. 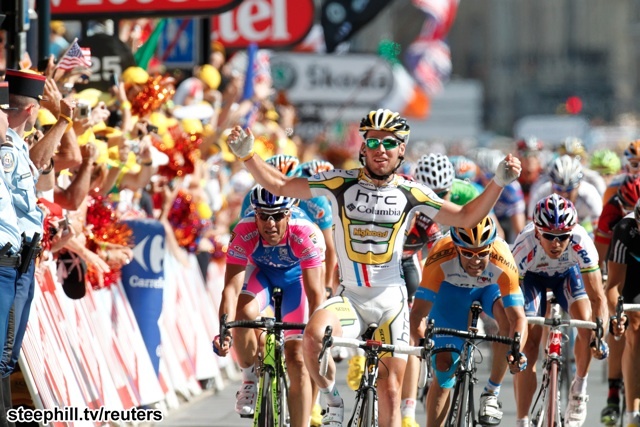 The 97th Tour de France will start from Rotterdam in Netherlands on July 3rd, 2010. Never in the past has the organisation been confronted with such a dilemma: To have to choose between two cities - Rotterdam and Utrecht - whose applications were both of a very high level. Each of them had the trumps to welcome a wonderful Grand Depart. Therefore we sincerely hope that Utrecht will once again apply as a candidate for a future Tour. Rotterdam in 2010 will be the fifth time the Tour de France has started from a Dutch city. The Tour has previously started from the Netherlands on four occasions with Amsterdam, in 1954, being first non-French starting point. Other Dutch cities that have hosted the Grand Depart include Scheveningen (1973), Leiden (1978) and Hertogenbosch (1996). Stay tuned for information from Thursday's official announcement. — Steve.